Draco’s suit jacket is a button three suit with the lapels gently rolled over the top button. It has a structured cut with straight, padded shoulders cut on the bias, gently-roped sleeve heads, a full-cut chest and a suppressed waist. The jacket’s front darts continue straight down below the jetted hip pockets to the jacket’s hem. There are three buttons on the cuffs and no vents. The suit’s waistcoat has six buttons with five to button. The suit’s trousers have a darted front, slanted side pockets and a tapered leg with deep two-inch turn-ups. The suit is trimmed with black horn buttons. The suit overall has a very timeless style with balanced proportions. Whilst Draco’s suit doesn’t look as modern as George Lazenby’s Bond’s suits do, it doesn’t look old-fashioned either. If the jacket had pocket flaps and vents it would easily look more modern. Draco’s pale blue shirt has a moderate spread collar, front placket and mitred two-button cuffs, with the outer button left open. The navy tie has wide grey repp stripes bordered by narrower champagne-coloured stripes, with the stripes in the British direction. Draco ties it in a four-in-hand knot. He finishes the outfit with black shoes and a red carnation in his lapel. Later in On Her Majesty’s Secret Service Draco wears a dark grey flannel chalkstripe double-breasted suit that isn’t seen much. The suit jacket has the same straight, padded shoulders with roped sleeve heads that the three-piece navy nailhead suit has. The very wide peaked lapels with a considerable amount of belly, however, give the suit a distinct 1930s look. The white shirt that Draco wears with the double-breasted suit is made in the same style that he wears with the three-piece suit with a moderate spread collar and front placket. The tie has repeated sections of small mid blue, turquoise and green stripes on a navy ground, and Draco ties it in a four-in-hand knot. Pure awesomeness. I actually prefer Draco’s suits to Bond’s, I think they are more timeless (not too much waist suppression and not too narrow trousers leg.). The red carnation is a nice touch ; not something Bond would wear but here it fits Draco’s outfit and type of character perfectly. I actually think about Cary Grant’s style when I see these two outfits. Not only is the cut a bit similar (width of lapels, straight padded shoulders, rather full chest plus nipped waist), but there is also a debonair attitude that we can find in Draco’s character as well as in Grant’s typical character, the leading man, man about town, etc. Gabriele Ferzetti was (and still is) a very elegant man,maybe the Italian actor most elegant of his generation. His movies are a feast for the eyes. Ferzetti suits came from the best Italian tailors,but his main tailor was Caraceni (especially the main Caraceni of Rome,Galliano and his sons Tommy & Giulio). In middle 60s Ferzetti was the testimonial for a Italian ready to wear company. For the advertising campaign Ferzetti claim to wear his Caraceni suits (“you don’t expect that i dress your crap”? said to managers of company). I believe that the Draco’s suits were from the Ferzetti’s wardrobe and were cut by Caraceni. Thank you for this, Carmelo. The suits certainly have the Caraceni look. Ferzetti with a wonderful dinner jacket of Caraceni,double breasted,shawl collar,in blue midnight mohair for summer. I just looked him up on Wikipedia, he was only 44 years old when OHMSS was made. I thought he was older than 50 at the time. I think that was partly make up. Ferzetti played the father of Diana Rigg,had to be credible. What a wonderful post and comments. Of course, the perfectly tailored clothing helps. Two memorable suits on a memorable character. Many have come to regard OHMSS as a great film from an artistic point of view. Yet, I don’t think it gets enough credit for it’s aesthetic appeal. It is, in my opinion, the best looking Bond film. Bond’s highland dress when imitating Sir Hillary might be the only low point and it’s unfortunate that that outfit is the one that is pictured so often when the film is referenced in popular culture (I realize the ruffles on the formal shirts are also a weakness, but the overall strength of the dinner suit substantially outweighs whatever negative impact they have). I couldn’t agree more! 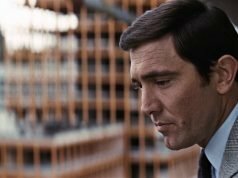 Everything about OHMSS is spot-on: the cinematography, the soundtrack, the clothes, the overall elegant and luxurious feel, so refreshingly out of character for 1969. The stuntwork is also great, and Lazenby himself wasn’t bad and would surely have grown in the role if he hadn’t fallen prey to a combination of youthful hubris and bad advice. Seeing him side-by-side with Connery in DAF, he is infinitely more elegant, graceful and lethal. He just lacked the acting experience, which would have come in time. OHMSS is one of best Bond movie of ever,and Lazenby was a great Bond. Is a real pity that George not have sign for others 007 movies. Said this is a thing that amazes me,the lack of continuity between Bond’movie. 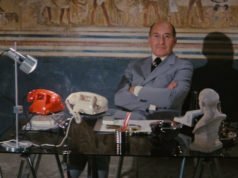 If 007 have met Blofeld/Pleasence in “You only live twice”,why Blofeld/Savalas not recognizes he in OHMSS…for the dsguise with kilt and pipe? Yes, and his foreign accent improved remarkably from one film to the next. 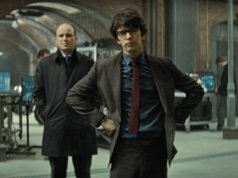 Some continuity for Blofelds and Felixes (alongside series regulars M, Q and Moneypenny) would have been very welcome. I also think OHMSS is a great film aside from the riding gear, ruffle shirts and highland dress. I beleive thisis in part because it was the last film to stay close to the plot of the books until probably Casino Royale. Throwing away Fleming’s story lines was largely a mistake IMO. They should remake all of the Bond films as per Fleming’s novels. After Goldinger the gadgets just became complete nonsense. Something I’d like to see done is the Fleming novels remade as period-accurate telemovies separate to the cinematic canon. Of course, that’s just wishful thinking. But at least we got some radio plays! The Draco of the film is perhaps more flamboyant than the character in the novel. ‘He was dressed in the sort of comfortable dark blue suit Bond himself wore. The chest and the arms bulged with muscle. Bond noticed the fullness of the cut of the coat under the arm-pits. Built for guns?’ (OHMSS, p.50).